A set of funny and cute piglets to decorate holiday prints. Christmas pigs. 2019. New year. 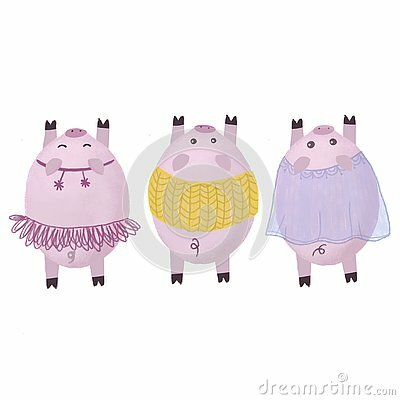 New Year greeting card with cute Pigs in Santa`s and Snow Maiden`s costumes. Watercolor cute pigs characters and christmas trees isolated on white. perfect for your design. Happy chinese new year 2019. Pig form lines and triangle. Translation: Happy New Year. Greeting card for 2019. Happy New Year. Vector illustration. Cute cartoon pigs sliding ,skiing and snowboarding on a winter snowy background. Winter sport activity.